Do you know what I like? Planet Earth. I mean think about it, all the mountains to go snowshoeing on, lakes/ponds/rivers/beaches for swimming, forests for hiking, meadows for running, the list goes on! It’s an amazing place and I can’t way to explore as much of it as I can! 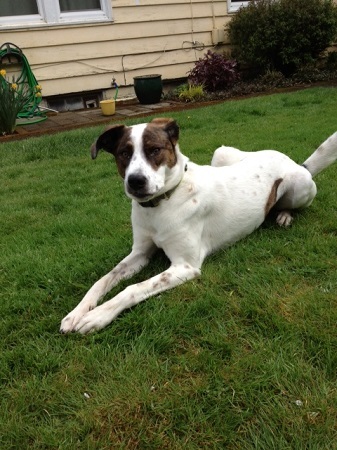 My name is Felipe and I am a 1 year old Dane/Spaniel mix with a heart of gold. I exuberant, affectionate and very fun boy. I do great with other dogs and am well house trained. Are you looking for a companion to join you on all of your outdoor adventure? I am your man! Fill out an application at pixieproject.org so we can schedule a meet and greet. I am fixed, vaccinated and microchipped. My adoption fee is $200. I am currently living in foster care.